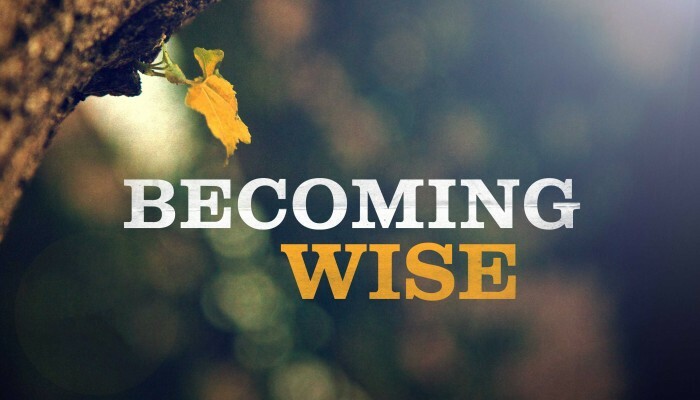 6 Steps to Becoming a Much Wiser Person - Something New Everyday! Intelligence is something, say some, we are born with. Research has shown that people who keep more contact with other people display higher levels of wisdom than those who remain more secluded. Some think this may be due to new people constantly giving us new ideas to think about, new information, new experiences, and this enriches the mind and gives us more wisdom. So make an effort, if not for others than for yourself. Stay in touch with old friends, go take a course, and stay in contact with those around you, it's the wise thing to do. Wisdom is the ability to understand all aspects of a problem, without surrendering to personal feelings. The meaning of an open mind is to find true empathy and to understand that everyone has a life story that affects them in some way, and it is not our place to judge. A good habit is to write down, every day, what ails you. At the end of the day, take a look at that list and try to get a new perspective on each problem, you'll be surprised what things will come to mind. 3. "I could be mistaken"
A smart person understands that it is impossible to know everything, and that life always throws you a curve when you least expect it. Acknowledging our mistakes may, and often does, lead to greater wisdom. Remember, your ability to be wrong shouldn't damage your reputation as a wise man, but should increase it, because wise people know how to take responsibility for their mistakes. Nietzsche is quoted to have said: "Wisdom sets limits on knowledge, too.". Acknowledge the limits of your knowledge and admit when you are wrong. While we each have our own personal tastes in books, music, art or just what is good cinema, it is important to note that getting familiar with styles unknown will broaden your horizons and introduce new world views, new ideas and new outlooks on life. So put down the novel you're reading and try a science fiction story, a history book or just a great romance. Whatever it is you almost never read, now is the time to add some real experience in things you haven't really touched on. So try something new, or learn a new skill - it won't just make you wiser, it'll also keep you young! Many will say they have rich life experience, but when was the last time you really stopped to think of all you've learned throughout life? Try this exercise: Write down your three biggest failures and your three biggest successes. Next to each of them write some of the events that lead to it and the lessons you learned. Look for patterns, without pride or regret, simple patterns to teach you about how you used each experience to drive you forward. After all, knowing yourself is the biggest challenge of all. Yes, the news is often dramatic, misrepresented or just depressing. But it's hard to make balanced decisions for yourself and others if you don't learn from the mistakes that happen to others and to on larger scales, to your city, country and world. Keep updated, read a newspaper, watch the news or just read a news site online from time to time. Read the articles, not just headlines, and understand how you fit into this bigger world, and where you stand. This is crucial for true wisdom.